Now that I am finally back to working, I get to apply makeup every day again. You know how much I love putting on makeup and as matter of fact, more than half of my prep time every day is being spent on it. Tee-hee! I do spend a lot of time doing my makeup, but I also make sure that I spend time taking it off my face too! I believe in doing the "double-cleanse" method when it comes to taking off my makeup. No, it doesn't mean cleansing your face with the same product twice but it's all about removing your makeup and cleansing your skin in two different steps to totally get rid of makeup residue, sebum and bacteria. My usual method of double-cleansing is using my trusted Ponds Cold Cream first, massaging it all over my face to loosen up the makeup then wiping it off with wet wipes. Then I follow it with a facial wash. When I have too much makeup on, or I've used mostly waterproof, I use a cleansing oil as my first step. Now, oily-skinned people like me don't need to stay away from cleansing oils. You just have to know the right kind of oil to use. Some oils can aggravate oiliness and worse, cause breakouts. 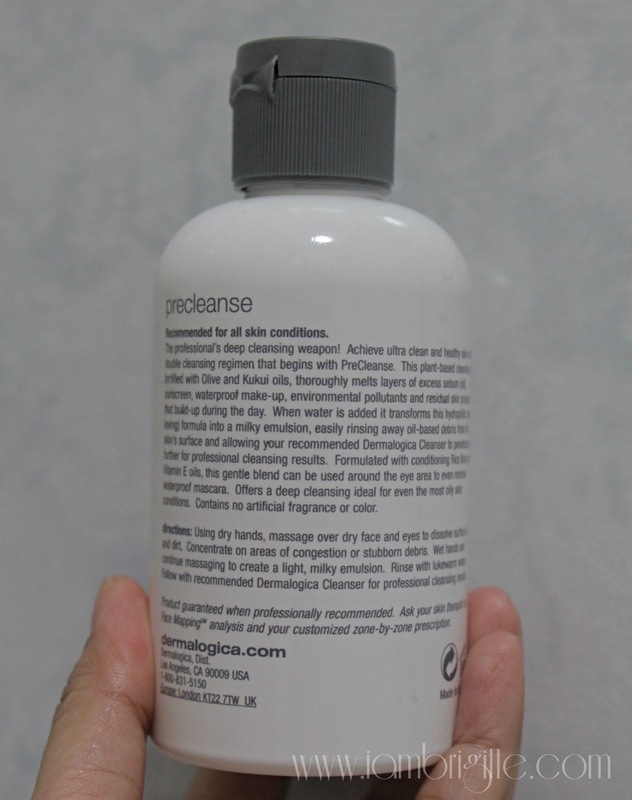 For today, let me share with you my current favourite cleansing oil. I have used different brands before but in all honesty, this one is the BOMB! 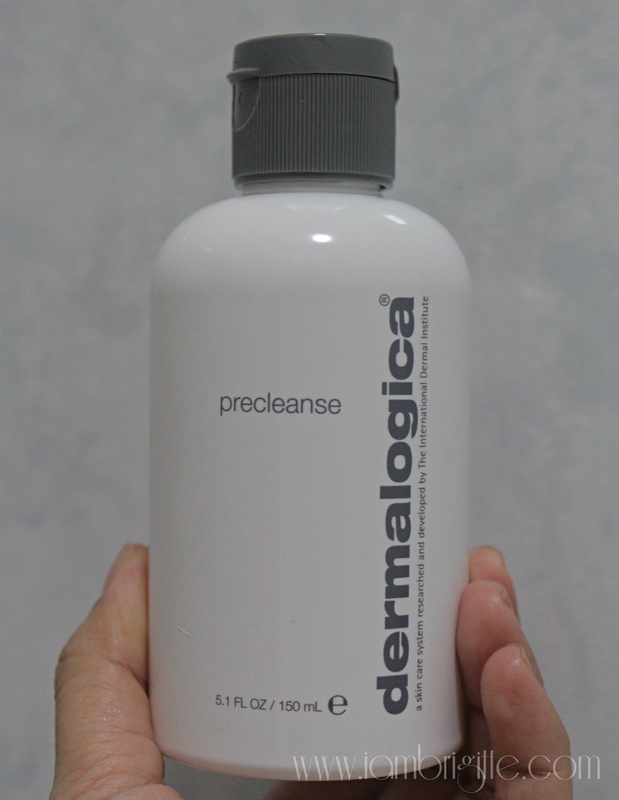 A lightweight, Olive and Apricot Kernel-based cleansing oil, fortified with Kukui Nut, Borage Seed and Rice Bran oils. Gently permeates and liquefies sebum and oil-based debris from the skin’s surface, encapsulating it so it is readily rinsed away without leaving behind any greasy residue. I've checked the ingredients and they have low comedogenic ratings, which means they are less likely to irritate the skin. In fact, they are good for the skin. The Kukui Oil, for example, has been used for so many years to cure irritations caused by acne. It also helps keep minimize acne. I've been using this for more than two months and I love it! It removes makeup, even the most stubborn waterproof ones, without any irritations. Rich in Squalene, when applied topically acts as a rich emollient that smoothes and softens skin. the skin’s barrier lipids while liquefying oily substances on the skin’s surface. for food and cosmetic formulations. that has been widely used for treating inflammation, eczema, dehydration and scaliness. skin damage, soften skin and facilitate skin repair. integrity of other oils in the formula. This is packaged as a nozzle style dispenser which allows you to control the amount of product you use each time. Sometimes I use less, sometimes more, depending on how much makeup I have on. But I use it every night, even on days when I didn't wear makeup. I just like how it makes my skin feel so clean, without any feeling of tightness. And it leaves my skin soft too! The product itself is clear, liquid-y and has a subtle lemony-scent…the kind of scent you smell in a spa. I love using it at night, as the scent helps me feel relaxed and ready for a good night's sleep. 1. I pour some product on my hands and massage it on my dry face in circular motions. This helps loosen up the makeup. I can actually feel the makeup melting off my skin. I concentrate on my eyes and on congested areas like my cheeks and nose. 2. I wet my hands to create a light, milky emulsion and I continue to massage my face. 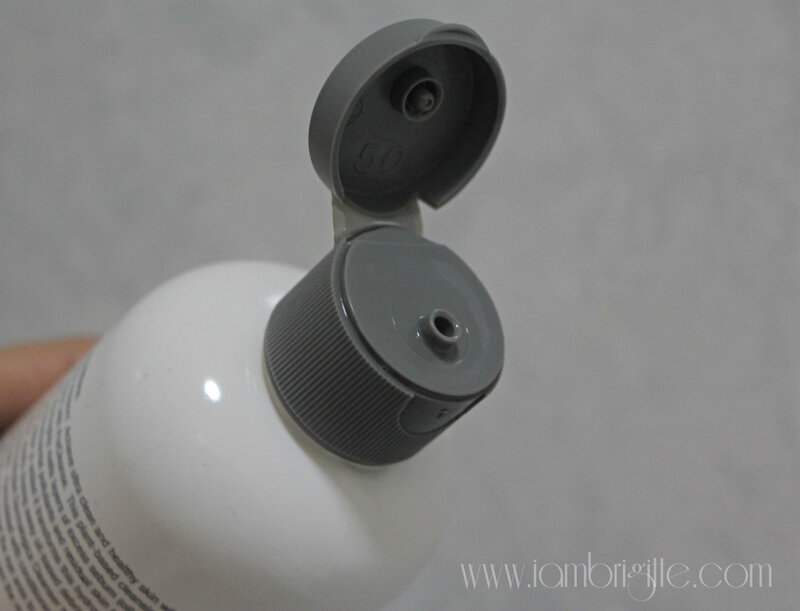 This emulsion captures both makeup and impurities, making it easier to wash them off. I then rinse with warm water. As you can see, it has removed my eye makeup well. 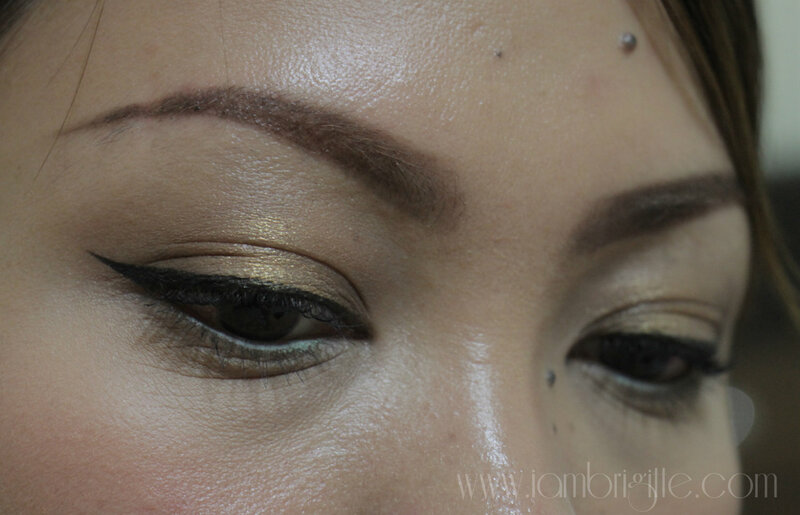 Take note I am using K-Palette eyeliner and Majolica Majorca Lash King which can be a bit of pain to remove. But with this, it's just easy. At times, there's still a bit of mascara/eyeliner left so what I do is go back at it with a dampened q-tip or cotton. This product is provided by PR but as always, my review here is all mine. I really like this product and though I've been using it for almost two months now, I still have a lot left and I think it will last me for another month, or maybe more. It's pricey, but totally worth it. And yes, I am going to buy once I ran out of it because this product is now a staple in my skincare regimen. 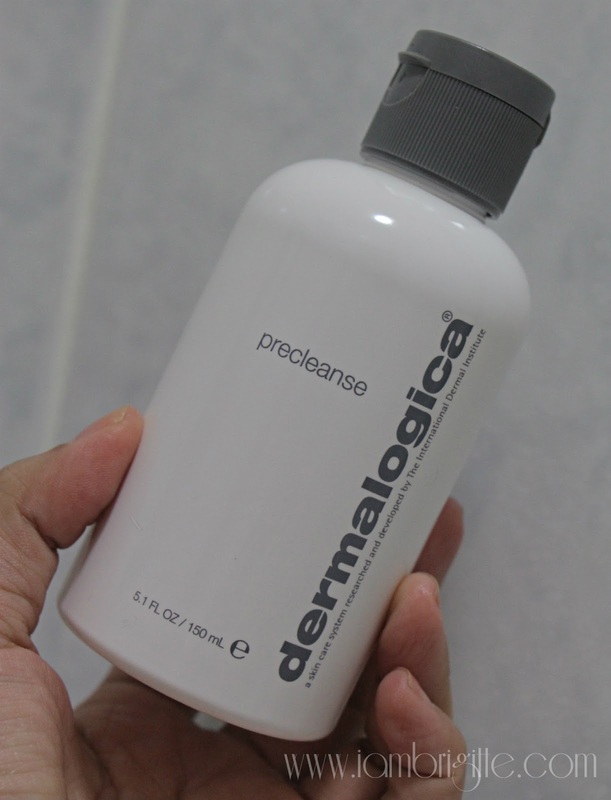 Now I am finally getting to understand why people tend to get addicted with Dermalogica products!